An example project available for download may be found on the STEM website . This is a standard STEM project that you may import into your workspace. It contains a graph generated using the Pajek Graph Generator. It also contains examples of the original Pajek files used to create the graphs found in the project. The files are located in the 'Doc' directory of the project. Also in that directory you can find additional documentation. Read the PajekStem_Format.doc (or PajekStem_Format.txt) for further information about the modified Pajek format. 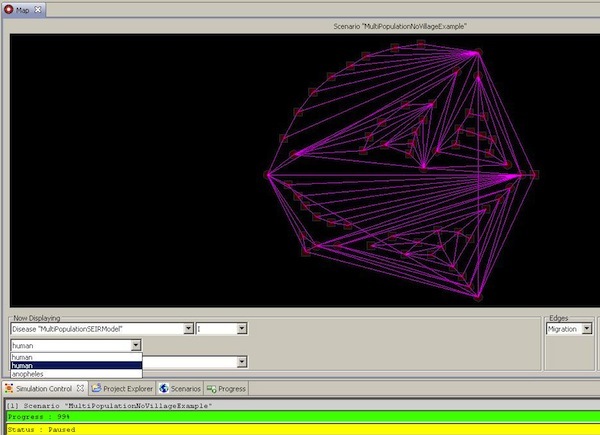 The PajekNetGraphGenerator is available in the graph creation dialogue of STEM. Please see the page Creating a new Graph for information on using this dialog.